A few weeks ago, Teaparker issued a challenge to John, a fellow student and skilled baker: find a good pairing of tea and one of your homemade desserts. This is similar to finding the right wine for your food: you have to imagine how the two will interact and produce something harmonious. Which tea will add the most delicious flavors to the food? 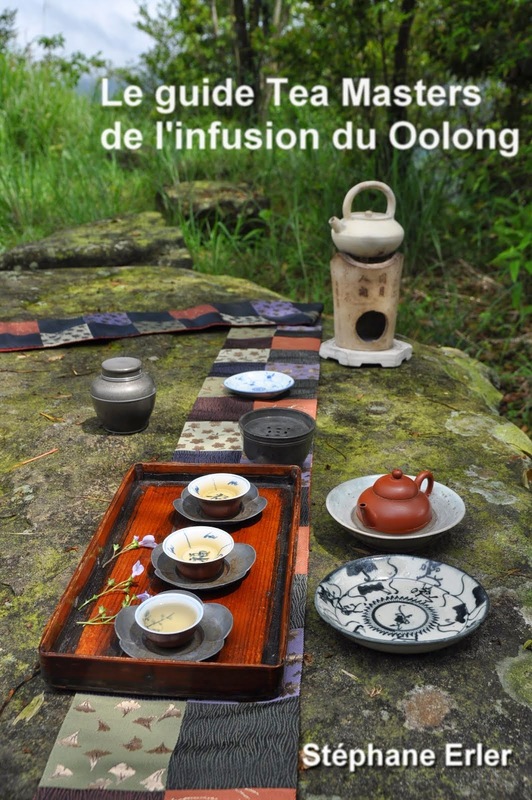 Since tea is usually the sole focus of gongfu cha, many serious tea drinkers are not used to pair tea and food. So, Teaparker and John prepared this special class where we paired 4 teas and 2 desserts (blueberry cheese pie and madeleine). All 4 teas are rather heavy and were brewed strong in order to produce a taste that wouldn't feel too weak compared to the dessert. The first tea we tried is a Hungshui Oolong from this year's Dong Ding competition, brewed in a zhuni teapot (see above). The first brew was brewed too strong, though! It dominated the 2 desserts and took away their sweet taste. 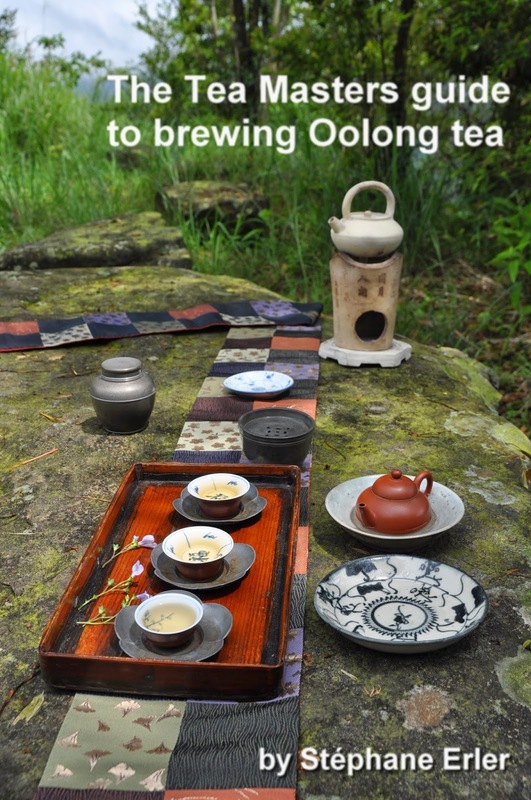 However, the second brew of Hungshui Oolong was slower and lighter. Then, it produced a very nice impact on the food: the madeleine's egg aroma felt emphasized in a positive way. 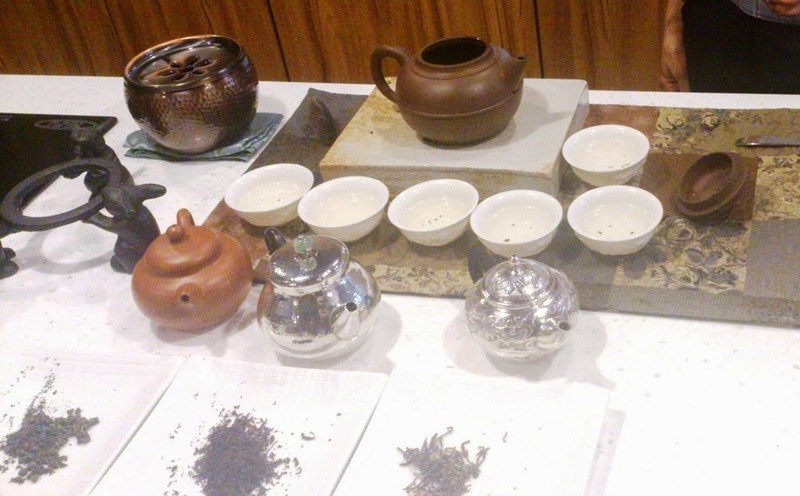 Second, we paired a tippy Dian Hong brewed in a silver teapot with the desserts. 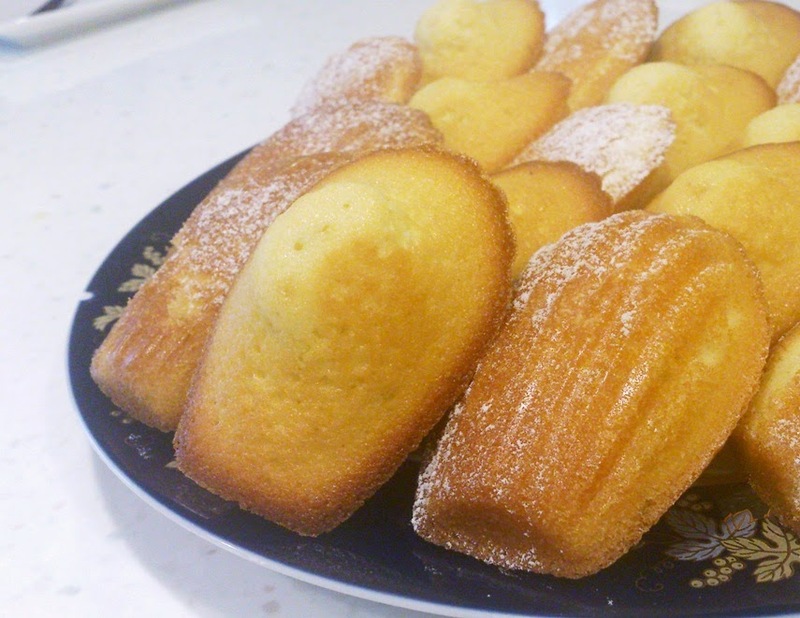 With the madeleine, it produced new sweet aromas. But with the blueberry pie, I felt it emphasized the astringency of the berries. Overall, the brew was a little bit too concentrated. Third, we used an excellent Zhengshan Xiaozhong brewed in a dragon/phoenix silver teapot. With the madeleine, it added a warm, deep brown sugar kind of flavor. Winter feeling. With the blueberry pie, the tea emphasized the scent of the lemon, creating a fresh summer feeling! This rare tea is indeed very versatile in how it impacts desserts! Fourth, Teaparker also wanted that we try pairing an old raw puerh (1950s) brewed in an old zisha teapot! We had no idea how this puerh would mix with the desserts. At first, it seemed like a very strange (and expensive) pairing. 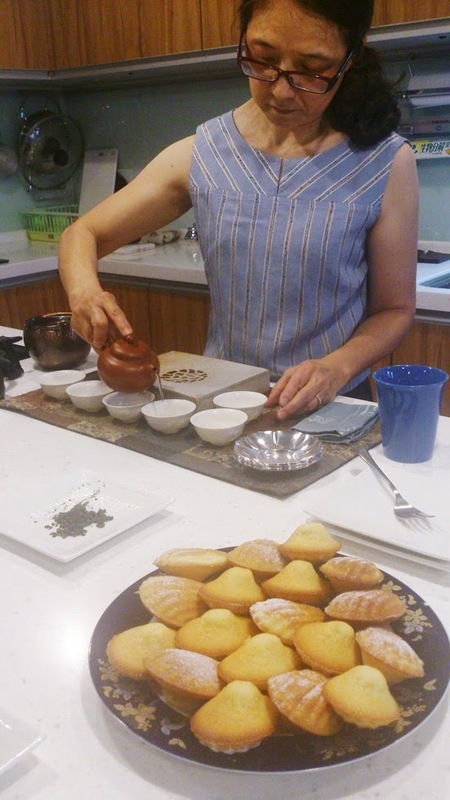 With the madeleine, the puerh emphasized its sweetness and made the mouth feel very clean afterwards. With the blueberry cheese pie, the puerh added depth and flavor to the blueberries, and it made the aftertaste last much longer. The food and tea combined perfectly! This old loose puerh demonstrated best what is a good tea and food pairing. It's one that emphasizes the good taste of the food and makes the taste last longer in the mouth. This exercise with 4 teas also made it clear that selecting a good, fitting tea is only one step in the pairing process. The major challenge remains to brew the leaves well, not too weak and not too strong. Red teas may seem like a natural fit for sweet desserts, but they are not necessarily the best. Hongshui Oolong and aged puerh can also produce very astonishing results! The only way to know for sure is to try!